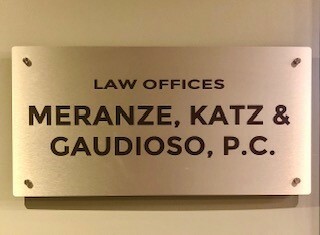 At Meranze, Katz and Gaudioso PC, we are proud that our attorneys come from diverse backgrounds and life experiences that put us in a unique position to understand the problems and concerns of working people and their families. Prior to becoming attorneys, some of us worked with the tools in the construction industry, some behind a bar in the food service and event hospitality industry, some on assembly lines in factories and others as order pickers and machine operators in the warehousing industry. After becoming lawyers, we all have maintained close involvement with the real worl d outside of the practice of law. Whether providing pro bono legal services to non-profit organizations that provide for the needs of others in our communities, whether working as volunteers for charitable organizations that provide services for those in need or whether getting involved in local community politics to make sure the voices of the community are heard by those elected to office, we strive to remain connected to the world outside of the rarified atmosphere of a law office and the courtroom. 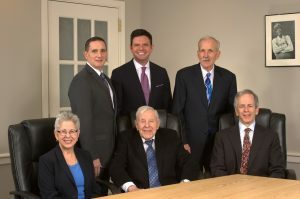 We are experienced attorneys who pride ourselves in bringing our life experiences and where we came from to what we do professionally. Our depth of experience enables us to better understand our clients’ needs and achieve solutions to problems that meet those needs. Take the time to peruse the biographies of our lawyers. You will find that we are not just any other law firm. We are a small firm and we like it that way. “Big Firms” are constrained by mandated “billable hours”, fee budgets and the like and attorneys at big firms are under pressure to meet billing quotas. We don’t operate tha t way. We take the time to listen carefully to each client, understand their needs and desired outcomes. Whether it be the drafting of legal documents or case litigation, we will structure a case handling plan that will be efficient and cost effective. We will explain the legal issues and the law to you, lay out your options and give you clear advice on the costs, outcomes and benefits of each option so that you can make informed decisions about how you would like to proceed.